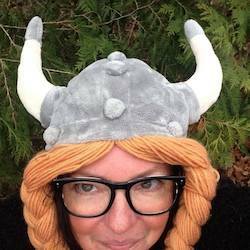 Travel writer and humorist Kirsten Koza. 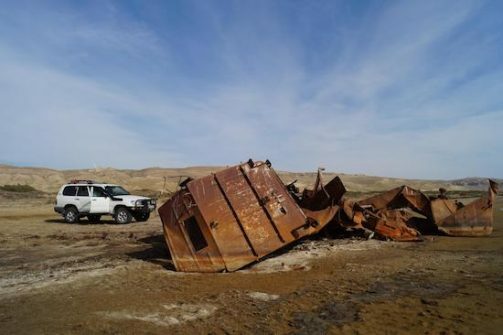 On the latest edition of the Globejotting Travel Show, Canadian travel humorist Kirsten Koza talks about her recent travels in Kazakhstan, where she was on a quest to discover “ghost ships,” rusting in the desert where the Aral Sea used to exist. She also tells us about naked wrestling on horses in Kyrgyzstan. In part two of the program, Kirsten shares anecdotes from her hilarious travel memoir, Lost in Moscow: A Brat in the USSR, about her 1977 experience at a Young Communist League summer camp in the Soviet Union when she was 11 years old. We also listen to a tune from one of Kazakhstan’s hottest boy bands and learn about Boris Grebenshikov, one of the founding fathers of Soviet era rock and roll. The Globejotting Travel Show streams every Tuesday on Expat Radio. You can listen to episode three here, and check out the archive of past shows here. 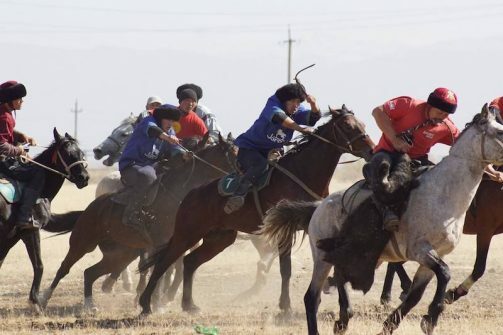 Horsemen in Kyrgyzstan play a game called “kok baru,” which is a little like polo, except instead of a ball, they use a dead sheep or goat. (If you look closely, you’ll notice the guy in the front is clinging to a sheep carcass.) – Photo by Kirsten Koza.